Stuck for a masculine card? Make some layers with the True Gentleman Designer Series Paper ! 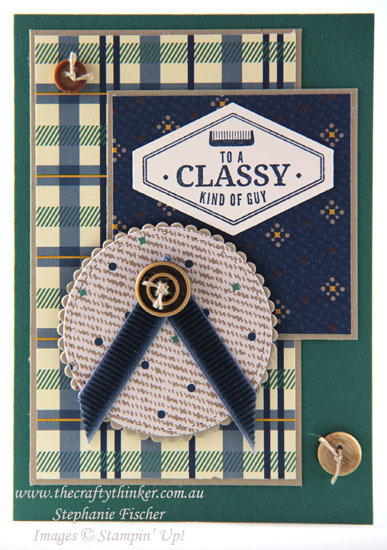 The Truly Tailored suite of products makes a masculine card really easy to make! Stampin' Up! have made the whole masculine card thing really easy with this suite of products - add a greeting and a label if you wish, some buttons and a little bit of that gorgeous (but masculine!) corduroy ribbon - all done in a matter of moments!